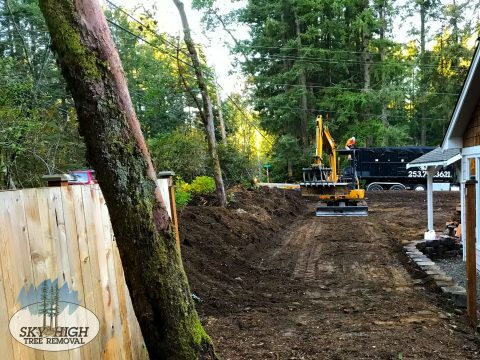 Excavating | Sky High Tree Removal | Remove stumps, roots, large rocks.Excavating | Sky High Tree Removal | Remove stumps, roots, large rocks. Excavating a residential location is much different than a construction site. When would you consider excavating in place of stump grinding? 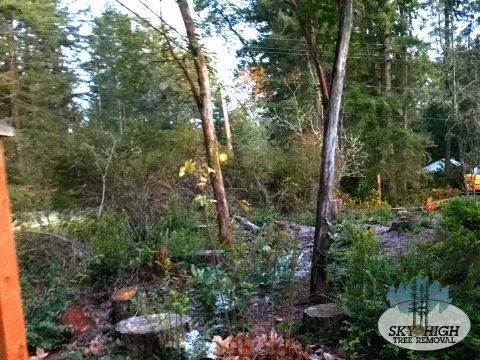 The answer is when you want an area with no visible sign that there were stumps or roots in the area. Removal of a stump with grinding can leave unsettled areas. 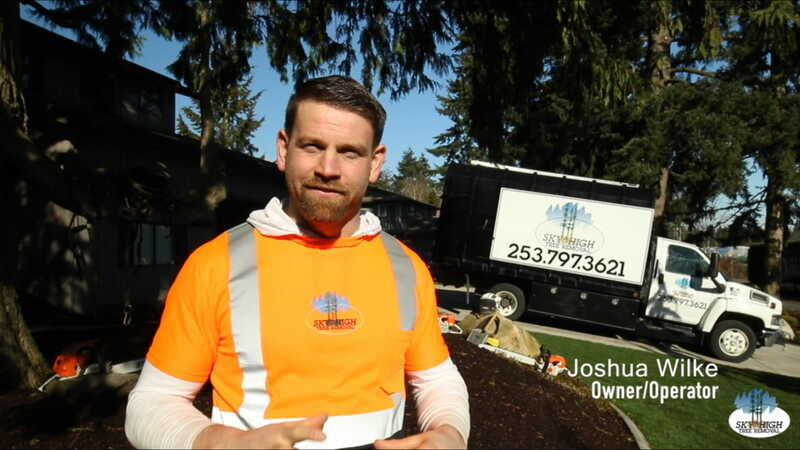 With Excavation, we dig into the soils removing any stumps, roots, wood, large rocks or debris. Then we fill and level the area with topsoil to make ready for planting. All material is loaded into the trucks and hauled away. We dispose of any stumps, roots, wood or unwanted large stones. Often we are called in to remove cracked or broken concrete that has been disrupted by the growth of roots under the concrete. 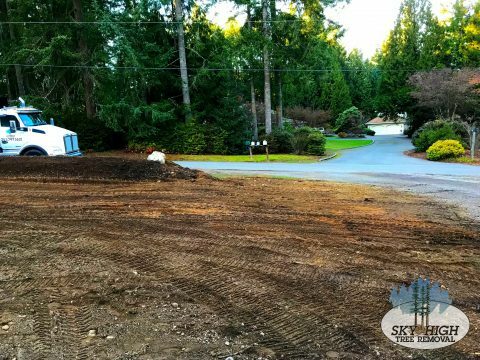 When excavating the area removing the material that has disturbed the concrete and make it ready for new or replacement concrete or asphalt. When we leave the site is ready for your concrete or asphalt replacement. We protect your property. At your home or business, you want to remove unwanted stumps or roots while protecting your yard and landscape. Our equipment is on rubber tracks but we still lay ¾ plywood to cover over any drain fields or driveways. 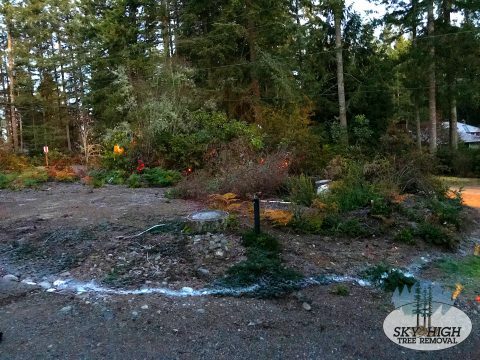 We create our own roadway access the work area and protect your property leaving it in better condition than when we arrived. Copyright © 2019 SkyHighTreeRemoval.com. All rights reserved.